Item # 308355 Stash Points: 7,999 (?) This is the number of points you get in The Zumiez Stash for purchasing this item. Stash points are redeemable for exclusive rewards only available to Zumiez Stash members. To redeem your points check out the rewards catalog on thestash.zumiez.com. 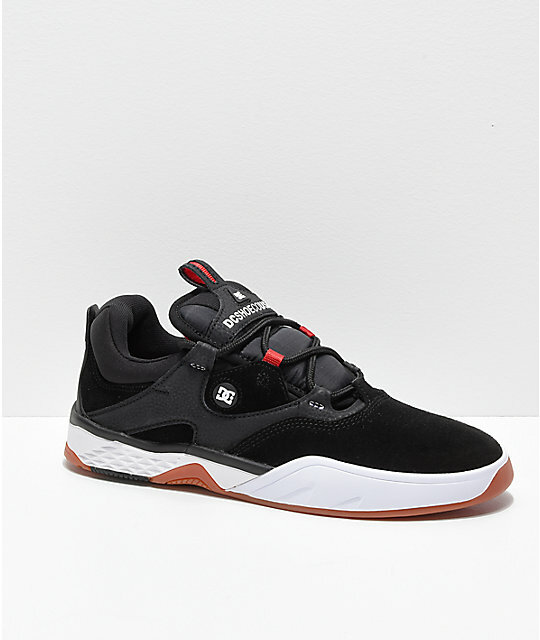 Cut weight while adding durability to your shoe collection, with the DC Kalis Lite S Black, White & Red Skate Shoes. The runner-inspired cupsole construction offers ultimate levels of comfort, while the breathable mesh lined interior keeps your feet dry no matter your choice of athletic activity. 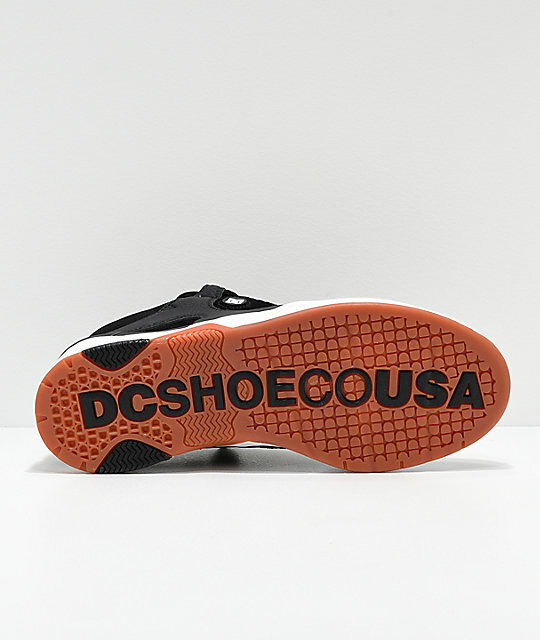 DC Pill tread is added for grip, while the DC logo detailing throughout provides world famous branding and a classic look. 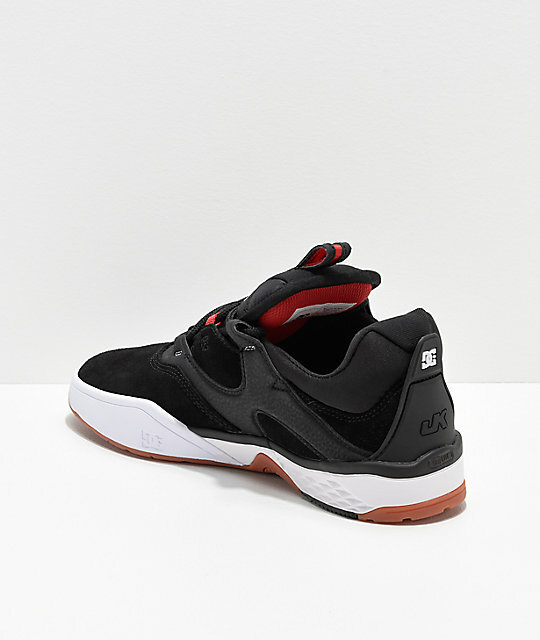 Kalis Lite S Black, White & Red Skate Shoes from DC. 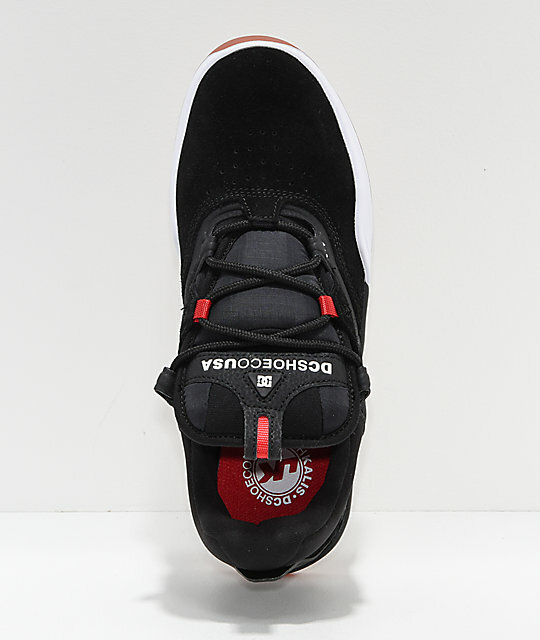 Combination nubuck, leather and mesh throughout upper.